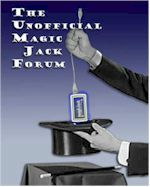 Anyone have MagicJack deactivate their account?! apparently if you make more than fifty calls a day you get disconeected??? NOTHING in unlimited anymore. Seems all VOIP's have limits. In fact Net Talk just LOWERED the amount of min you can talk from 5000 a month to 3000. This includes incoming as well as outgoing calls. Blame, like always, people who look to take advantage and then ruin it for the rest. Some telemarketers are to blame among others who always look to get over.